Hawaii rarely is hit with a hurricane, but 2018 brought several hurricanes that affected the Hawaiian Islands, some from a distance. In August 2018 Hurricane Hector passed about 200 miles south of the Island of Hawaii causing 20-foot high waves and dangerous surf as far away as Oahu. Hurricane Lane, peaking at a Category 5, came close to Hawaii and the powerful rains caused mudslides and flooding. In September 2018, Hurricane Norman passed about 300 miles away from the Hawaiian Islands producing some high surf. Then Hurricane Olivia actually made landfall on Maui and Lanai causing flooding and downed trees. While the Central Pacific region typically gets fewer hurricanes than the Southeastern US and Caribbean, tropical storms and hurricanes do occasionally hit the region. The Central Pacific hurricane season runs from June 1 to November 30, peaking in July and August. Note that the peak for the Pacific hurricane season is earlier than that of the Atlantic basin. While that is the designated season, these tropical cyclones (or hurricanes) can occur at any time of the year. Based on historical weather records, the Central Pacific basin will typically experience four or five tropical cyclones each year, including tropical depressions, tropical storms, and hurricanes. Historically, the busiest hurricane years have coincided with the El Nino cycle. The 1992 and 1994 seasons were both El Nino years and both had 11 storms, the most since 1971. Hawaii has been directly hit by hurricanes only three times since 1950, though the region has experienced 147 tropical cyclones over the same period. The last time a major hurricane hit Hawaii was category-4 Hurricane Iniki in 1992. Before that, the last major storm to hit the islands was Hurricane Iwa in 1982. 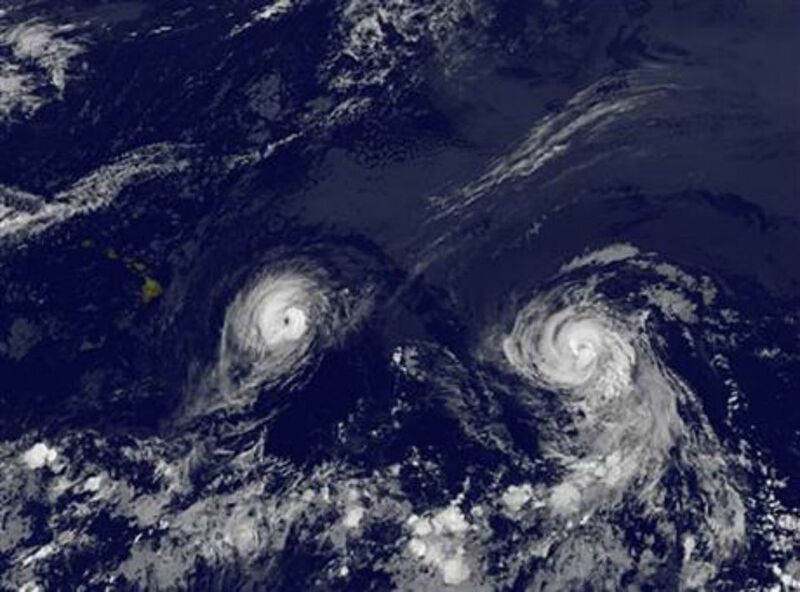 In 2014, it looked like Hawaii might experience two back-to-back hurricanes, but the first turned into Tropical Storm Iselle and the second, Hurricane Julio, missed the state altogether. The 2015 hurricane season in the Pacific was the most active on record, with 15 storms forming. Many people visit Hawaii during the designated hurricane season without being affected by any storms. Statistically, the chances of a hurricane or tropical storm hitting Hawaii during your visit are very slim. Still, there are choices you can make to lower the risk of a hurricane disrupting your vacation. For example, if you're traveling during hurricane season, and especially during the peak period, you might consider buying travel insurance. If you are in Hawaii during a storm, follow the guidance of the locals where you are staying. Some things to remember about weathering strong storms include. Stay in the interior of the home or hotel room, away from windows. Have a flashlight with you and extra batteries. Stay out of flood waters during and after heavy rain. It may be warm but don't go wading. The water may have hazardous materials in it or may carry disease. Do not be a storm watcher. Wind and rain from tropical cyclones can carry debris. Stay off the beaches. Dangerous surf can sweep people away. Do not drive through flood waters. For more information, visit the FEMA hurricane preparedness page and the National Weather Service hurricane local statements page.